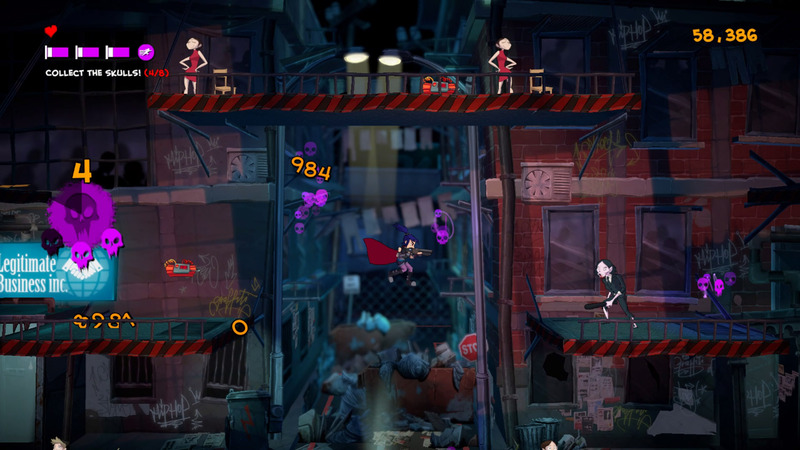 Damsel is a fast paced, single player, arcade platformer set in a dark cartoon world with a pumping synth soundtrack! 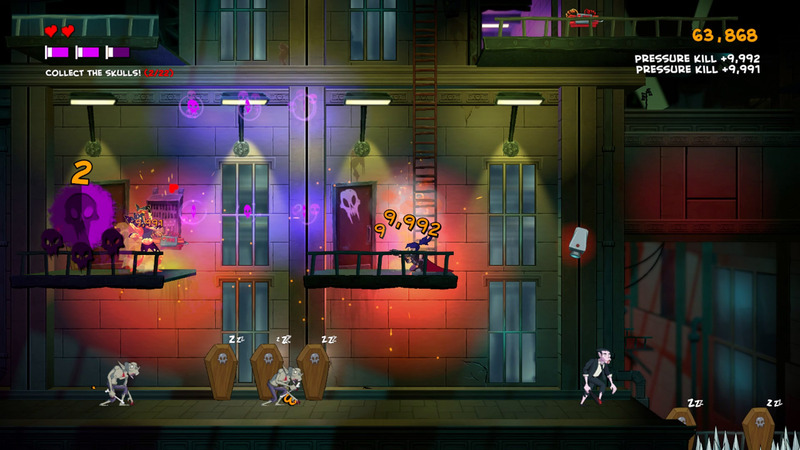 Play as Damsel, a government agent saving the world from well dressed, corporate, vampires. Use Damsel's speed and agility to perfect each run, racking up high scores and combos by pulling off tricky maneuvers in 15 highly detailed, challenging arenas. Damsel is an intense, occasionally frustrating title, for those who have quick reactions, an eye for planning, and a patience for repetitive death. 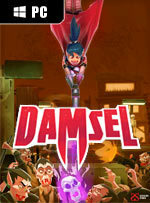 Those who like their games challenging, twitchy, and demanding of player improvement should consider joining Damsel on her wild ride into the night. But those expecting story, adventure, or even mercy will likely find themselves thirsty for more. 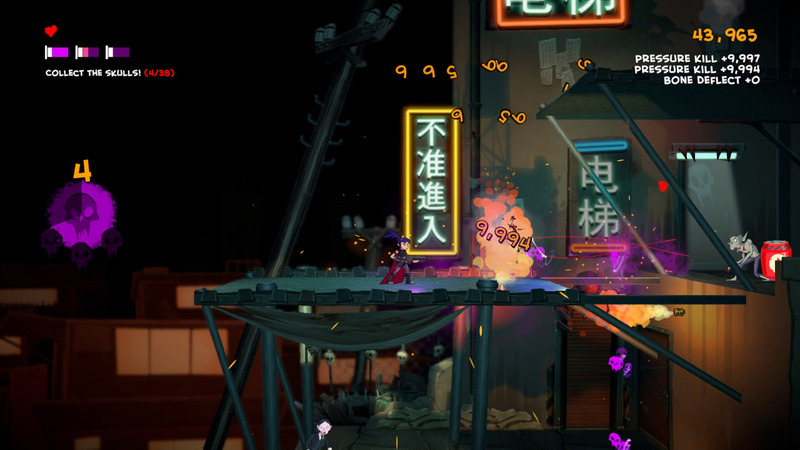 The dark, quirky aesthetics, tight combat mechanics, and silky-smooth movements combine to make Damsel an enticing package. Getting into a flow state rarely feels more rewarding. Stages are of a pace that those with five minutes can have as much fun as those with free time. 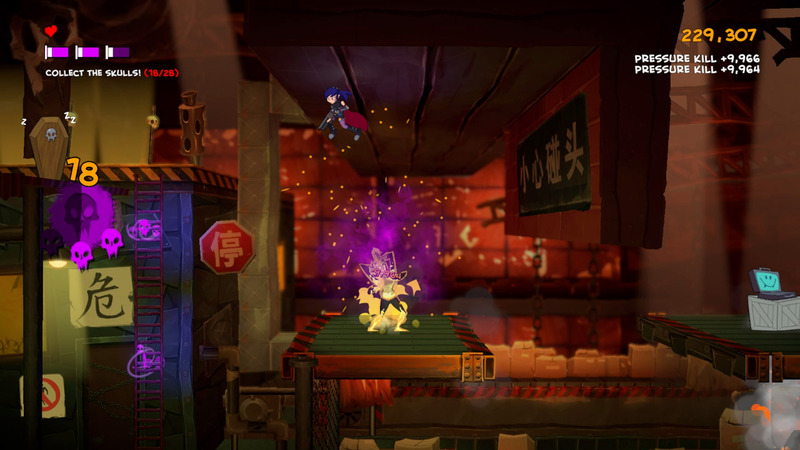 If you can handle sharp difficulty spikes and aren’t bothered much by the thought of drinking human blood, Damsel is a platforming delight worth delving into. 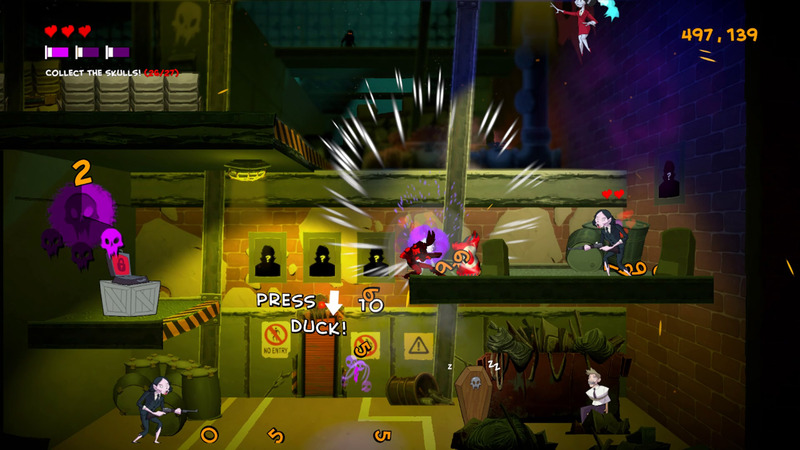 Es un indie a tener en cuenta, recuerda mucho a los antiguos arcades de recreativas, como el mítico Metal Slug, pero haciendo una mezcolanza extraña con otros títulos como Mark of the Ninja o Super Meat Boy. Aunque mezclado en algo que quizás, para una plataforma como PC, se queda corto. En cualquier caso, Damsel nos ha mantenido enganchados en la silla y eso es lo que importa al final, en un videojuego.